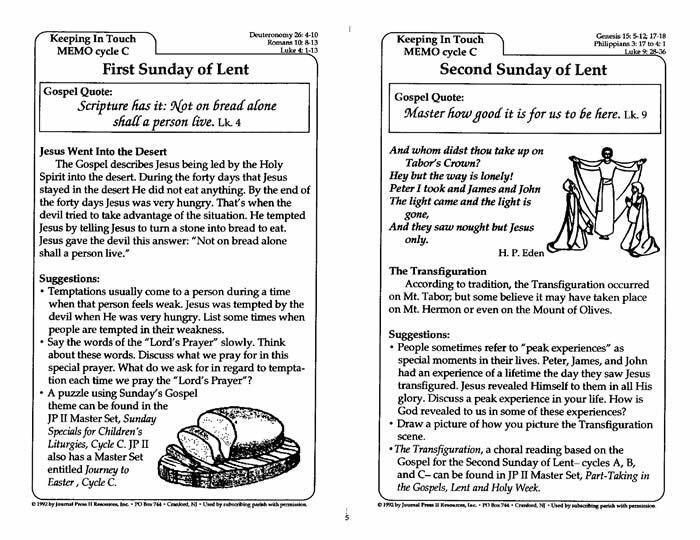 ¥ Highlights of important information and ideas for all catechists, especially those who are involved in Lectionary-Based Catechesis. 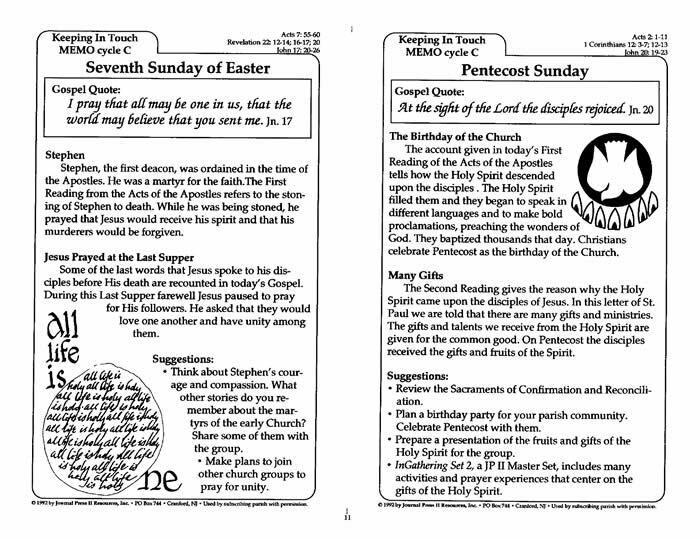 ¥ Half page memos which are ready-to-use or can be custom designed to include other resources. 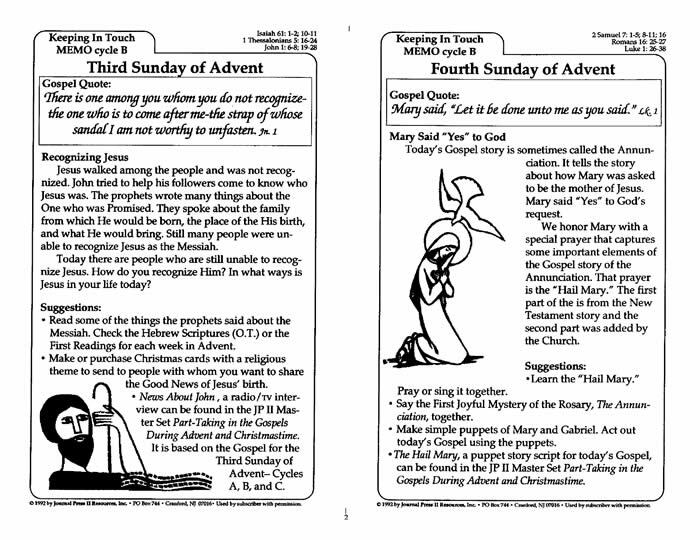 Each memo identifies the Sunday readings and offers suggestions for reflections and/or activities. 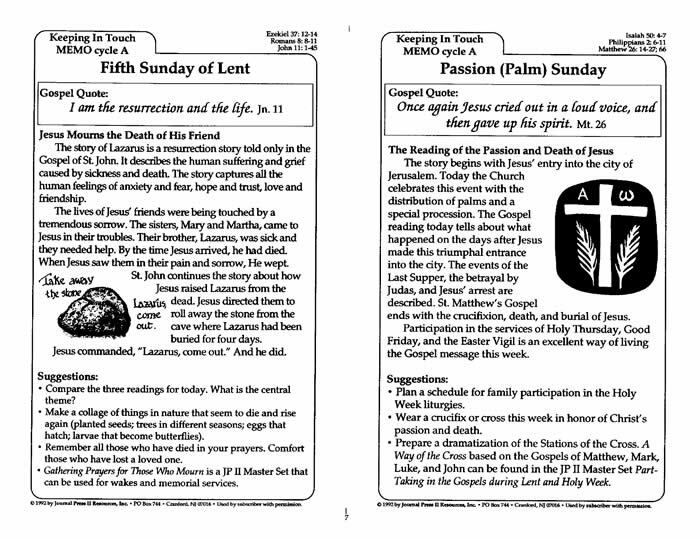 Help teachers and catechists make the message of each SundayÕs Liturgy of the Word become a part of their daily lives and the lives of those they teach. 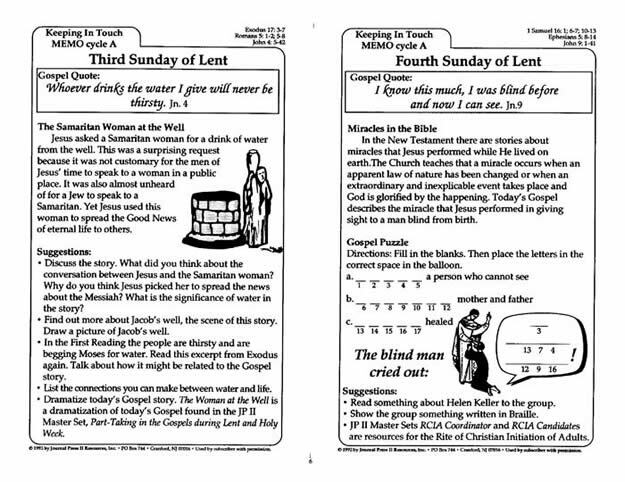 Sample pages below show each Sunday on half of an 8.5 by 11 inch page. All Sundays in the cylcle are included. Your purchase (below) will enable the placement of the complete cycle Keeping In Touch Memos on your computer. You will receive an e-mail to enable your immediate download for each set. Sets are ordered and downloaded one at a time. 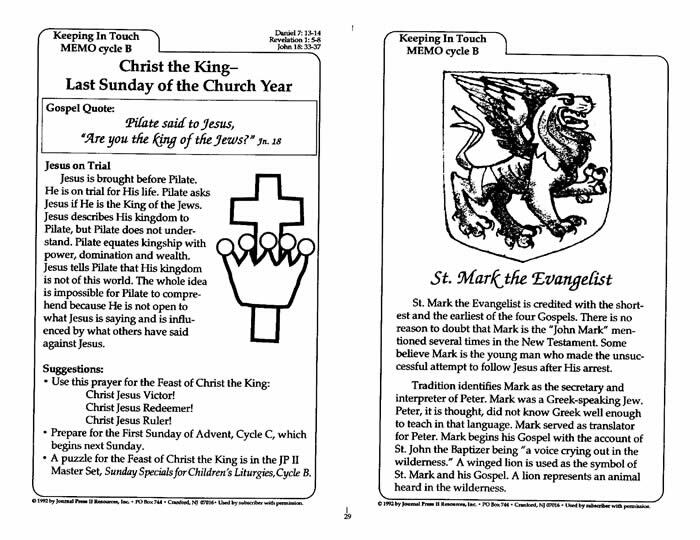 Return to this page to select additional cycles of Keeping In Touch Memos MasterSets.